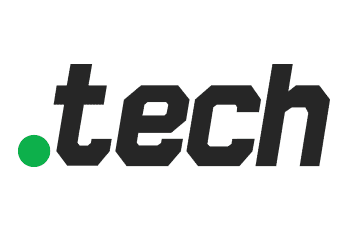 Radix, the domain name registry behind .TECH, announced today that its popular new domain extension .TECH has crossed over 100,000 domain name registrations. The domain extension has seen unparalleled demand from the global tech community with thousands of startups using the extension to brand their digital identity. Leading brands such as Microsoft, Viacom, CTA (Consumer Technology Association); the parent company of CES and many others have also used the domain extension, leading the way for others. In addition to the plethora of startups, tech visionaries and enthusiasts have been using the extension. Tech influencers and popular YouTubers are using the extension to engage with their audience including Austin Evanswith www.austin.tech; American designer, and technologist, John Maeda with www.designin.tech; and Edgar Oganesyan with www.edgar.tech. Radix announced that registrations were spread out over 169 countries with the United States accounting for 16.4% of the registrations. Demand was led by leading domain name registrars like Namecheap and GoDaddy inthe United States. Radix has been running various marketing campaigns to increase the awareness and adoption of the .TECH domain name, including partnering with startup events like TechCrunch Disrupt, Collision, Web Summit, etc, working with hackathons at events like TechCrunch Disrupt Hackathon being organised in New York on May 7th and university hackathons like HackIllinois (University of Illinois), HackPrinceton (Princeton University), HopHacks (John Hopkins University) and UofTHacks (University of Toronto) amongst others. Suman Das, Category Head for .TECH said, "This is the first of many milestones for .TECH, we are excited about the demand we are seeing and the feedback received from our partners and clients is very encouraging. With new technologies and the startup era getting stronger every day, we expect to increase our growth rate in the coming future." .TECH launched on August 5, 2015 and can be registered at 100+ registrars globally.